Ya Jagoff!!! | Hey, Your PAWP Glasses Are The Best!!! Home Restaurant Jagoffs Hey, Your PAWP Glasses Are The Best!!! Hey, Your PAWP Glasses Are The Best!!! The Stroll Inn is a little restaurant and bar out in Kennedy Township. They got REALLY famous when the Pittsburgh Pirates staff threatened to boycott them last year. So here’s post that went up on their Facebook site the other day. Lady, we don’t know who you are but we appreciate the humor in your life of high-etiquette-thievery. A woman of YOUR stature probably dabs the corners of her mouth with a stack of stolen Primanti napkins while you’re eating “complimentary” Sam’s Club quiche and spanakopita, that you tossed down the front of your drawers during the last shopping trip, while you’re sitting at home in front of your TV that has a base that’s cracked because you had to rip it off of the bolts that were securing it to the night stand at the North Fayette Micro-tel. And after your next trip to “The Stroll,” don’t worry about walking home jingling with your sweat pants full of silverware, just grab one of the Port Authority buses that got by. Drive it home. Park it in front of your house, leave the keys in it and simply call the Port Authority’s new “Enterprise Rental Division” to come fetch it when it’s convenient for you to turn it back in, Ya Jagoff!!!! Thanks to Estelle Aversa, owner of the Stroll Inn and Facebook follower for letting us post this. Also, thanks to Casey Stangl of C. Stangl’s Angle Photography (Las Vegas with Pittsburgh roots) for letting us use and torture one of his awesome wine glass pics. 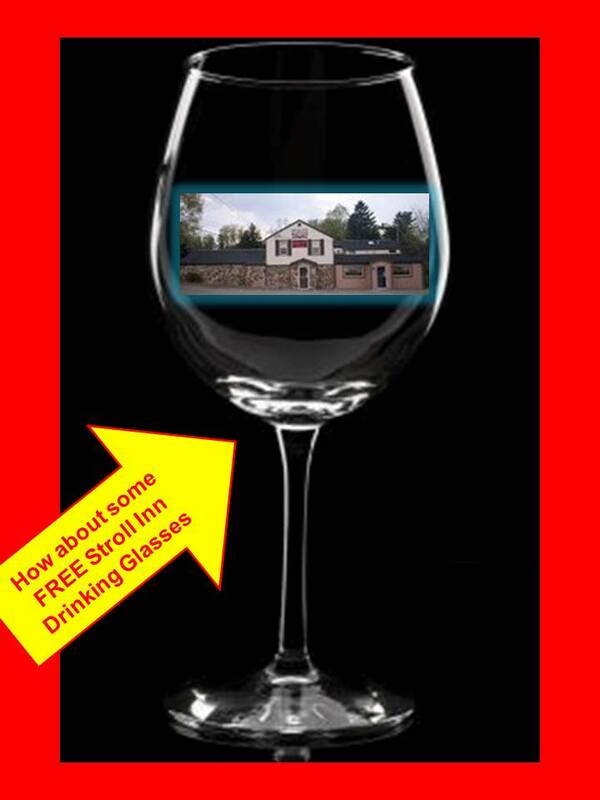 Click the pics below to get to the Stroll Inn and C. Stangl Angle Photography pages. Previous articleHey Jimmy Krenn, Where Have Ya Been, Ya Jagoff?? Next articleSomeone Who Actually WANTED A Newspaper Insert!!!! High Octane, Um, I Mean…..Well, You Know…. What Would The TomTom Say?